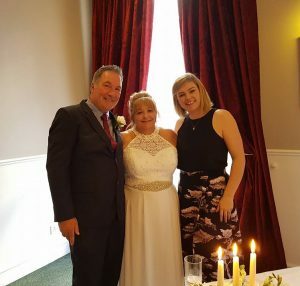 My name is Áine Mckenna of Celebrate Love and I am a qualified Wedding and Family Celebrant accredited by the Irish Institute of Celebrants. I am an active board member of the Irish Ethical Celebrants Society. I serve Dublin and the surrounding areas in Leinster, Ireland; including Longford, Meath, Kildare, Wicklow and Athlone. I am equally happy to travel to your ceremony on request. I provide traditional Celtic Ceremonies for those who want that extra Irish flavour – this is particularly popular for those who elope or travel to our lovely island! Whether it is the exciting threshold of marriage, the nervous anticipation of becoming parents, or the celebration of an important milestone it is my honour and privilege to officiate those rites of passage which are sacred and most deserving of our attention. I look forward to working with you to claim the ceremony that most deeply reflects you and your values- it being Non-Religious, Semi-Religious, Mixed Faith & Spiritual. Each ceremony is unique and completely catered to you. Your ceremony is written with you – I take my role very seriously and understand that your day is special and needs only the very best of attention. Please note that whilst I can perform your wonderful marriage ceremony, I currently don’t complete the legal part – For a marriage to be legal in Ireland a couple must give a minimum of 3 – 6 months notification to the HSE Registrar of their intention to marry. 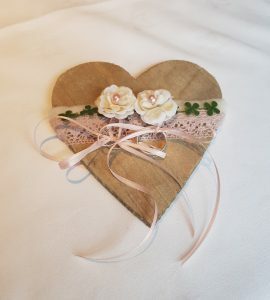 Once you have given your intention to marry you can then book an appointment with the HSE to solemnise your marriage (this is all included in the €200 fee which you are required to pay when registering your intent) You can find all of the information here on the HSE requirements. I can facilitate the process and make your wedding preparation as stress free and enjoyable as possible. Try arranging a wedding to be held in Dublin Ireland from Australia – Sound Crazy? Well…. Thanks to Aine McKenna for the enormous effort she put in, it went off without a hitch. No words can describe the ceremony. Thoughtful, personal and purely magical. Aine recommended to Venue, the Florist, and was essentially the Wedding Planner. Having met Aine through skype for our initial chat it was totally clear that she was THE ONE!!! Other than my Darling new husband 🙂 Thanks a million Aine for making our day awesome. More importantly thank you for joining us afterwards to find out a little more about your romance and future husband. You are a beautiful soul and hope that if ever we are fortunate enough to return to Ireland we can catch up again. We wanted to thank you very much for the ceremony – for us it was perfect and so romantic. Also our family & friends had a wonderful time during the ceremony. Everyone was delighted and asked about you! We felt so welcome from the first time we wrote emails, skyped until we are met at the ceremony. I cannot recommend Aine highly enough. Our ceremony was so personal and enjoyable, our guests are still talking about it! 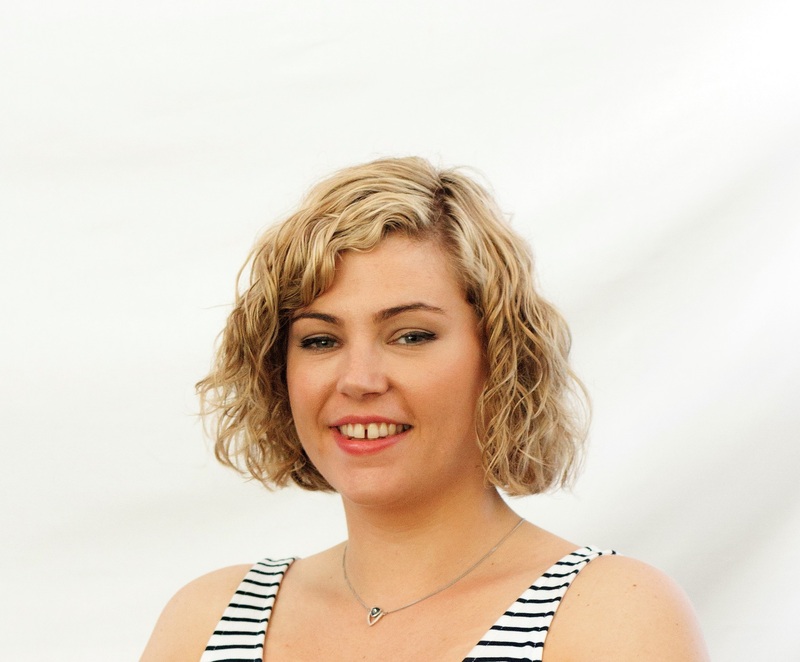 Aine was very professional, supportive and so easy to deal with. We really felt like she put ‘us’ in the ceremony which was hugely important to us both. 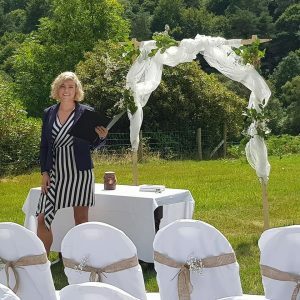 If you are looking for a really unique wedding ceremony give Aine a call. What type of wedding ceremony should I have? You are inside Newgrange. Drag on the image, or rotate phone, to explore.